The property is located in the heart of the New Town. Broughton Sreet provides an excellent selection of shops, cafes, bars and restaurants, whilst more extensive shopping is available in the city centre and close by at Multrees Walk. Regular buses serve the area, whilst the tram is around the corner on York Place which goes directly to the Airport. Places of interest located nearby include St Andrew’s Square and the Scottish National Portrait Gallery. 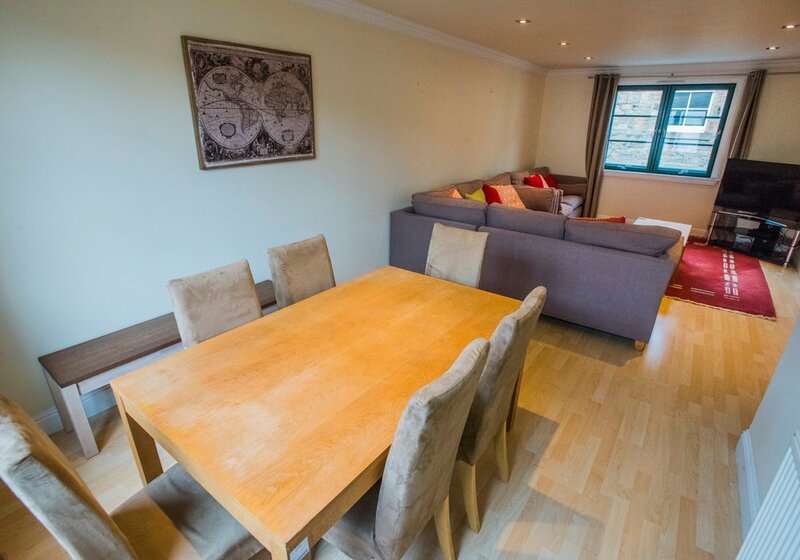 Numerous other city centre attractions can be easily accessed from the property. Recreational facilities locally include the leisure complex at Greenside Place which has a cinema, gym, several restaurants, bars and night-time entertainment. 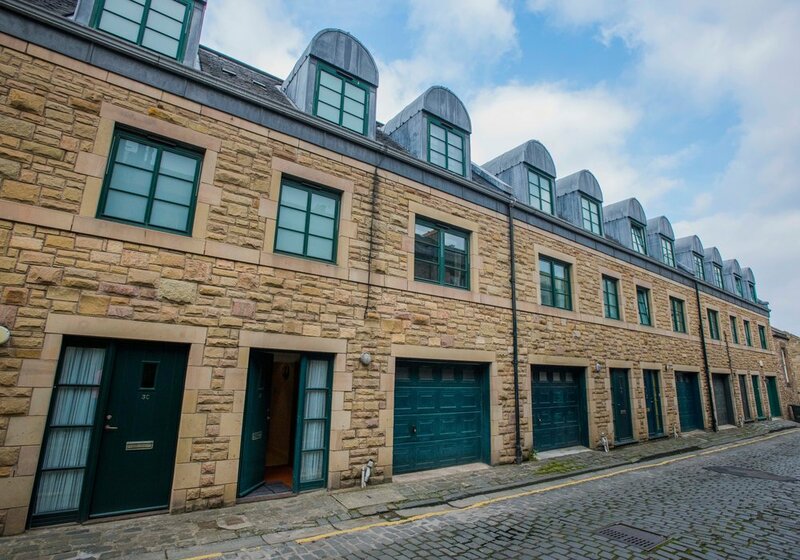 Spacious modern mews in a prime New Town address so ideal for those seeking an easily maintained property. 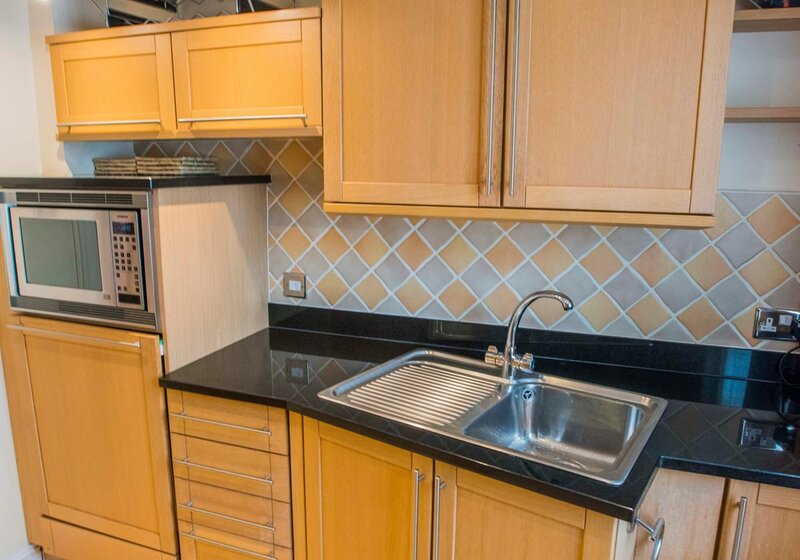 The property is arranged over three floors and includes an integral oversized single garage, the entrance level also houses the utility room and bedroom 4. 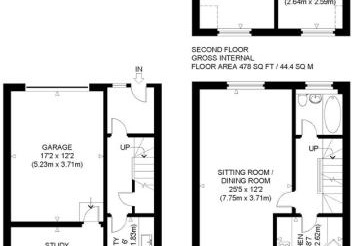 On the first floor there is a generously proportioned through sitting room/dining with dual aspect, a bright room which is ideal for those who enjoy entertaining. 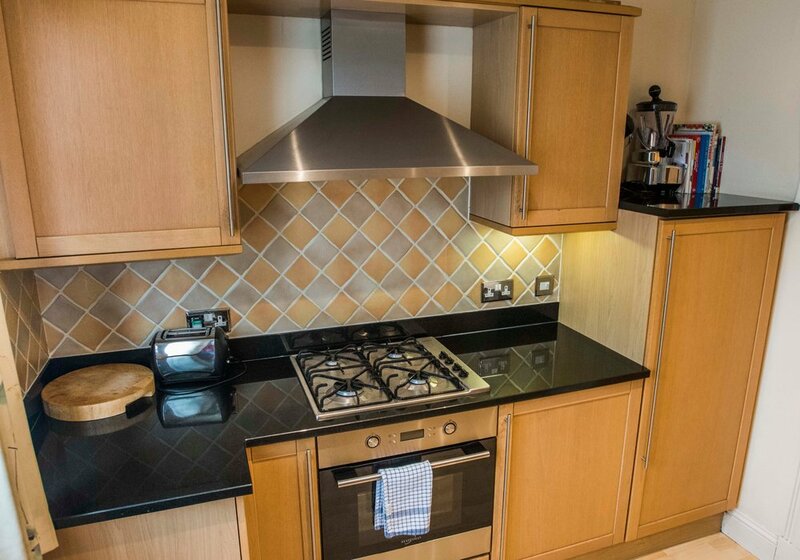 A modern fitted kitchen which includes several integrated appliances is also found on this floor as is a bathroom. The upper floor houses three bedrooms and a tiled shower room. 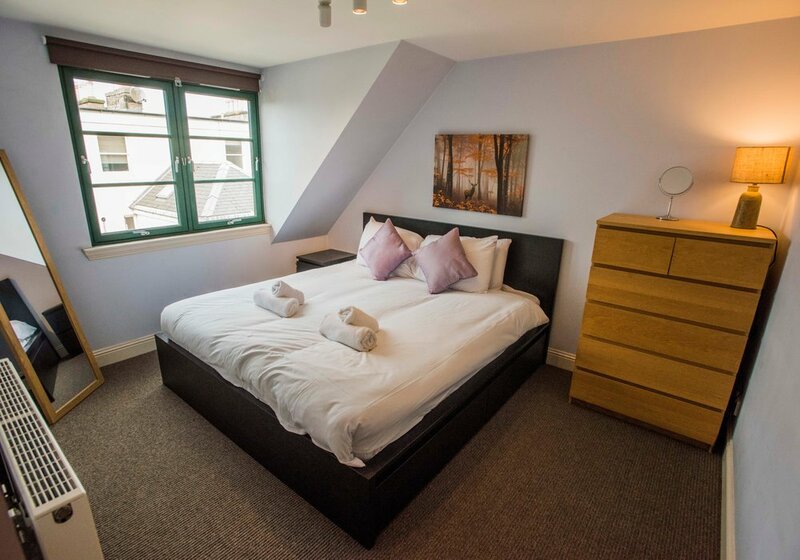 An ideal place to stay with the added appeal of secure private parking. 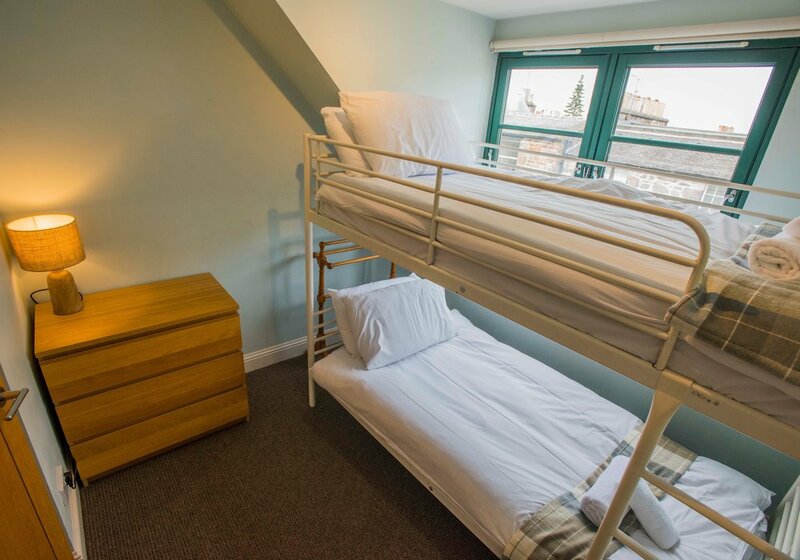 The small twin room is located to the rear of the property on the third floor and has 2 full size single bunk beds. 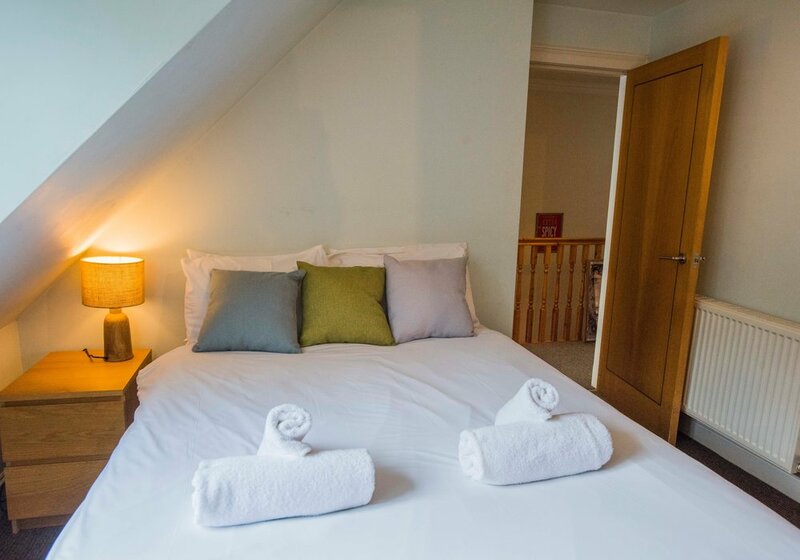 Although when staying in an there are traditional and contemporary restaurants literally on your doorstep, we have insured that the kitchen is fully equipped for your convenience. Gas hob, Electric oven, Kettle, Toaster, Fridge freezer and washing machine. Tumble dryer and dishwasher, Microwave. 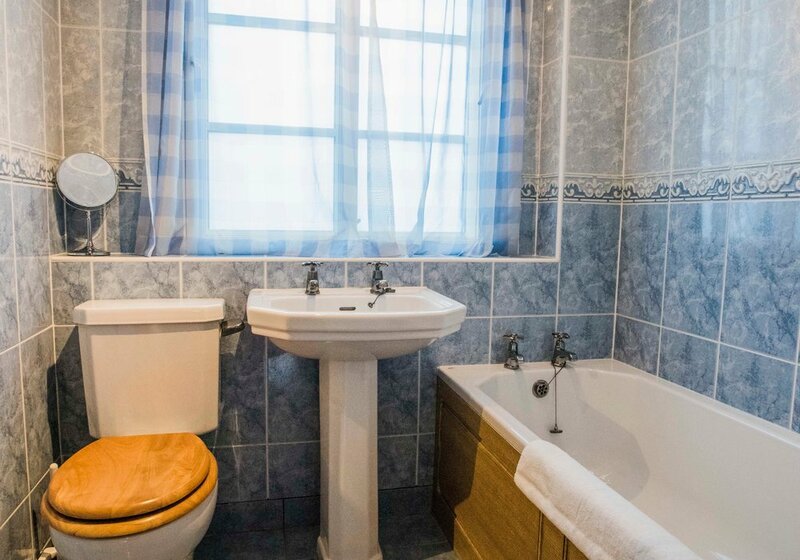 There are 2 bathrooms in the property.. both are fully tiled and 1 has a shower and the others a bath.. one on the second floor and one on the third. The property has 1 twin bedroom, 1 bunk bed room, 1 King size and 1 Double bedroom. The property is arranged over 3 floors. No one has reviewed Dublin Street Townhouse yet. A group of us stayed in Jon’s place whilst having a weekend away in Edinburgh. It is a great place to stay. Spacious, clean, amazing location! Had a brilliant weekend and would definitely stay again! Jon's place is in a great location and he was helpful and easy to deal with. Enjoyed our time in Edinburgh. 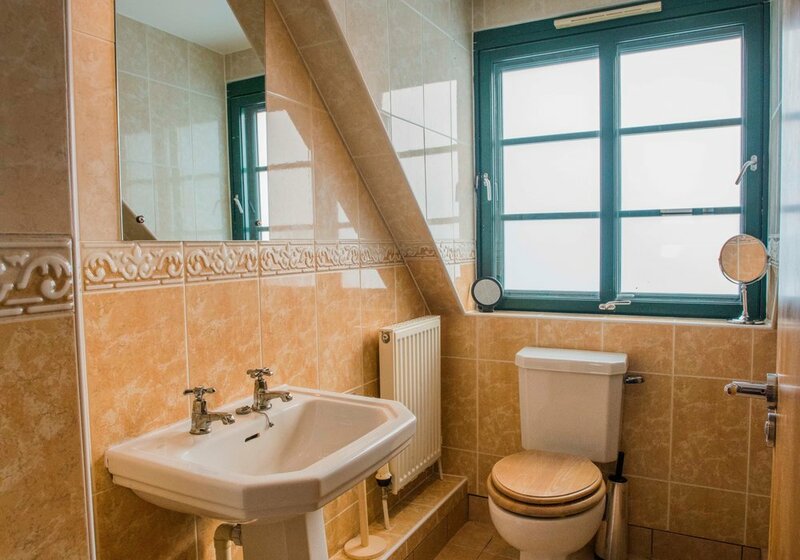 "A very nice house, ideally located 5 'from the tram. Clean and pleasantly decorated and equipped. An available and responsive host. 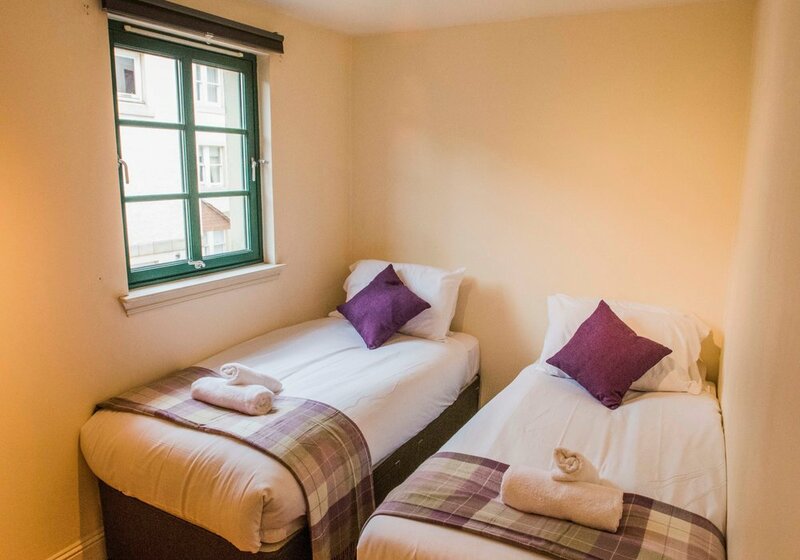 A great stay in Edinburgh! " Perfect weekend in Edimburgh in Jon's flat. Jon gave us great advices about the city. The appartment was clean, calm and comfortable. 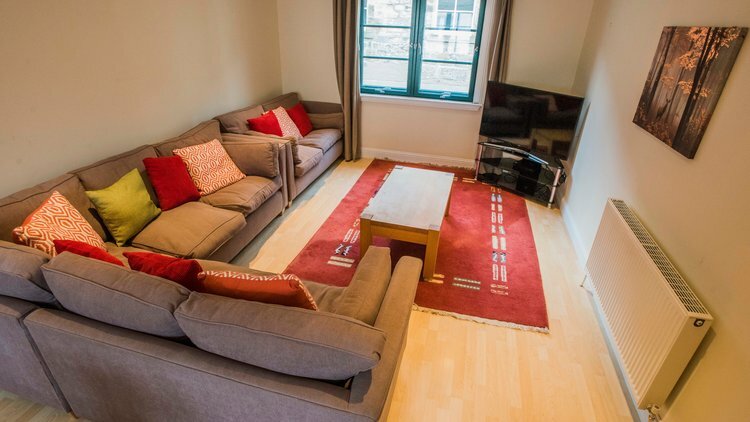 I highly recommand this flat ! Jon’s Airbnb is in a fabulous, convenient location. 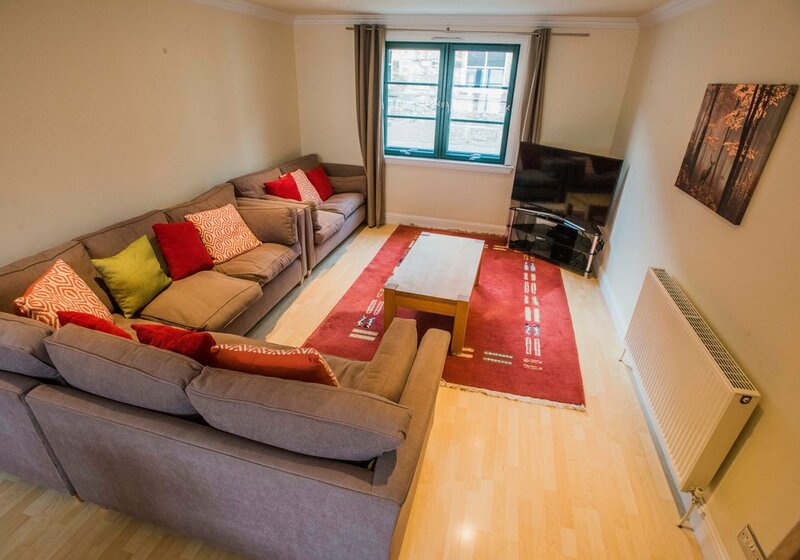 The townhouse is spacious and comfortable and Jon is a helpful and communicative host. I would definitely recommend this Airbnb to other travelers, and would stay here again! Jon is a friendly host who helped point us in the right direction for where to go in town. Accommodation was spot on, good size, clean and spacious. Close to city centre and all the sights!